UPDATE: THIS TABLE HAS BEEN SOLD AND IS NO LONGER AVAILABLE. 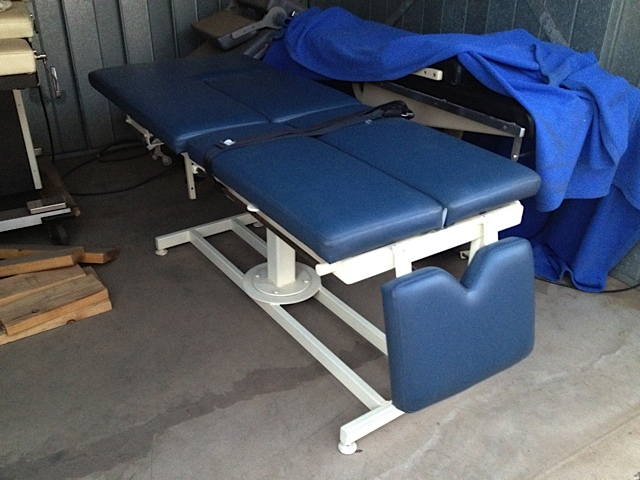 This myopractic table was formerly used by a now-retired physical trainer for the Phoenix Suns. Well, it’s related to chiropractic, except that it relies on manipulation methods utilizing body weight and specific, finger-and-thumb massage techniques rather than the bone-wrenching, brute strength of the chiropractor! So, it tends to be less strenuous for both practitioner and patient. It is considered a specialized form of neuromuscular therapy and part of the broad category of complementary and alternative medicine. Here is one article on Myopractic. Here is some information dealing with the professional and training side of it. 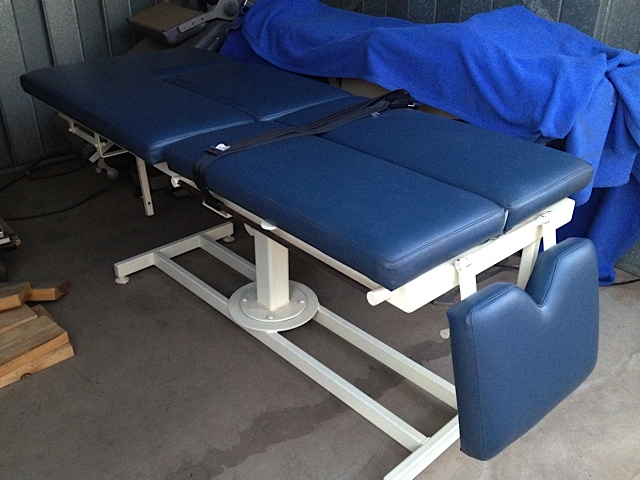 Here is a local (Chandler, Arizona) myopractor’s web site. 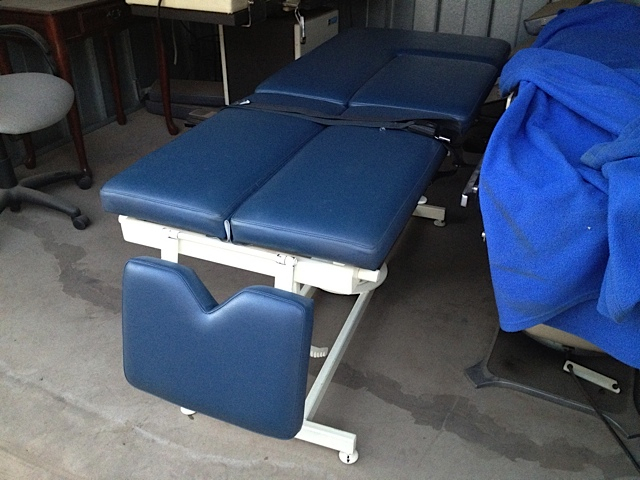 If you are interested in purchasing this table, it is in excellent mechanical and cosmetic condition, and is for sale at our office in Chandler, Arizona for a price of [call for price]. Next → Next post: Welcome to 2015!